In the food and beverage industry, taste is rightly considered a critical component of the brand experience. We all want a product that has people coming back for a second drink, a second bite, and ultimately choosing your brand over all other competitors. As it turns out, there are some surprising factors that influence the way a consumer perceives taste – including the packaging design! By understanding the way all of these factors work together in the flavor experience, it’s possible to design a package that enhances your product, strengthens brand enjoyment and encourages repeat purchases. Does your packaging deliver the right flavor cues? We now know that the flavor experience, and therefore brand enjoyment, is influenced by all of our senses – not just our taste buds. Cornell University Professor of Food Science, Terry E. Acree, Ph.D., says “…we are beginning to understand that flavor depends on parts of the brain that involve taste, odor, touch and vision. The sum total of these signals, plus our emotions and past experiences, result in perception of flavors…” This means that all of the consumer’s senses and experiences–including those with competitors – will play into their flavor experience when consuming your product. The environment in which a food or beverage is consumed can change the way a customer perceives the flavor. For example, in a particularly loud environment, it may be more difficult to taste sweetness. A food that is expected to be crunchy should have the corresponding sound–and without it, it may fall short of a consumer’s expectation. Simple tweaks to the shape of the container used can change the way customers view it. Edges and angular lines may appear more powerful or robust, whereas curves may appear more soft and delicate. Colors can evoke a range of emotions. Black can spark a feeling of sophistication whereas red may create a feeling of strength and energy. Imagery conveys style but also triggers associations with the consumer’s past flavor experience. An illustration of a lemon makes our mouth water and evokes citrus flavors. A picnic scene evokes different flavor memories than an image of a cozy armchair. Texture is one of the most critical components of how a consumer will perceive taste. Is an item supposed to be creamy? Crisp? Smooth? Should it be delicate, or more substantial? Equally important, but frequently less considered, is the texture of the packaging. For example, research shows that the type of cup water is presented in can change the consumer’s experience–either for the better or for the worst. Flimsy product packaging can make the item feel inferior, even if it isn’t. Consumers’ perceptions of an item differ based on their tactile experience. There are multiple ways to enhance the texture of the packaging for a greater sensory experience. The structure and weight of the container can lead to a quality assumption about the item. For example, using a heavy wine bottle may give the consumer a feeling that that wine is substantial. 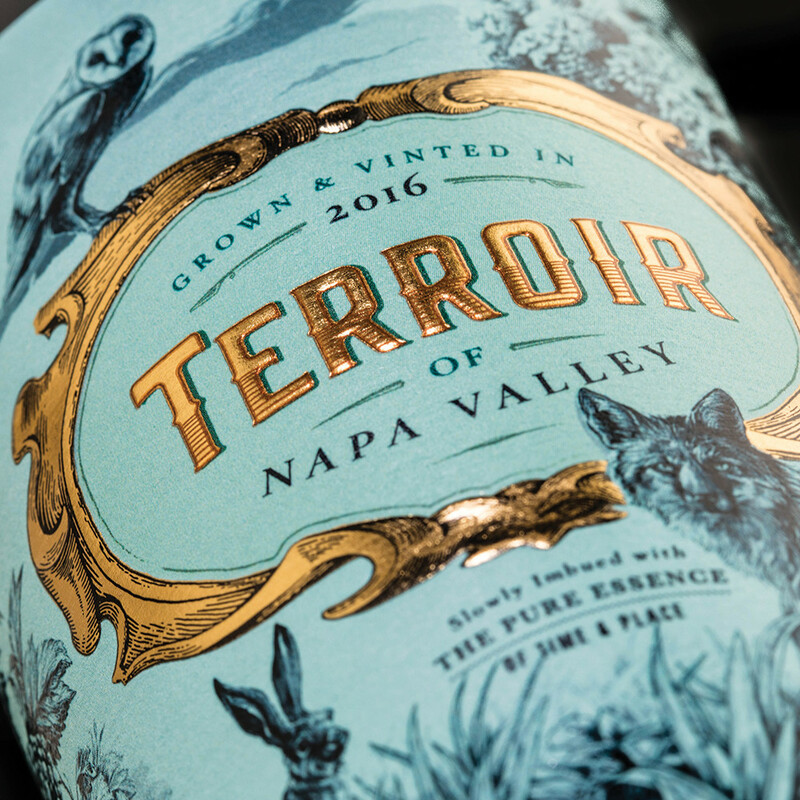 The type of paper and materials used on the label can influence the experience. Using textured paper may give the impression of fine artwork or handmade prints and is associated with handmade, small production goods. Printing treatments and embellishments, such as embossing, create layers of detail that deliver a richer tactile experience, which increases engagement with the product. While smell and taste are known to be closely connected, it’s important to consider how aroma influences the consumer taste experience. Inventors of an ‘aroma delivery system’ for packaging for PepsiCO, Naijie Zhang and Peter Given, say, ‘Consumers evaluate many products by the aroma emitted from the product or the container in which the product is made available…Edible products, such as juices and coffee, are expected to have a fresh aroma that replicates or evokes memory of the expected flavour of the product…’ How a product is packaged can elevate aromas creating an enhanced sensory experience. When I think of a brand that uses packaging to deliver an aromatic experience, Altoids™ comes to mind. The metal tin is cool to the touch and clicks as we open it, releasing the scent and revealing a paper inner wrap cradling the mints. When a consumer first opens a package you want them to be hit by the aroma, increasing the anticipation. How different would the Altoids experience be if you didn’t smell the minty aroma before it hit your mouth? Some packaging may not allow enough space to adequately deliver the aroma from the product itself. Recently, companies like Pepsi, for example, are testing how to integrate scents into the lids of their beverages to create a more powerful automatic experience when opening the bottle. Certain product packaging can create an aromatic experience before even opening the container. Coffee packaging, for example, can have a release valve on the bag that allows a consumer to smell the aroma before purchasing the product. Past experiences have taught consumers to have expectations based on color, texture, and the presentation – including the package – of a specific food or beverage. If sensory cues fail to match the consumer’s expectations of the flavor of the items, it can contribute to a negative experience. This is not because of the actual flavor of the item, but because the experience failed to meet their sensory expectations. What would your thoughts be if your glass of Malbec was green? It’s essential, therefore, that companies pay attention to all the details of the product packaging: colors, materials, artwork, and shape. By engaging all of your consumers’ senses, wherever possible, you can achieve an effective customer experience that will significantly improve the way your customer perceives your product. By paying close attention to how you utilize all five senses in your product and product packaging, you will create a multi-sensory experience that keeps them coming back for more.